The weighing scale hovers around the high fifties. The powerlifting record reads the kilograms in the hundreds. Marcus Yap Zhe Mian, 20, a Sports Science student from Republic Polytechnic, is a powerlifter who lifted a total of 480kg at The Schoolyard Meet, a local powerlifting meet, in May. He won the Under-59kg category and finished second overall for the competition after results were tallied using the International Powerlifting standard, WILKS formula. His 480kg total derived from three compound exercises, the squat, benchpress, and deadlift, which he lifted 165kg, 105kg, and 210kg respectively. The Schoolyard meet did not only mark his rise in the sport, it also marked his first powerlifting competition. He was a competitive badminton player in primary and secondary school but when he was in Secondary four, he decided to swap rackets for barbells. “During ‘O’ levels and ‘N’ levels, you cannot spar with anybody, everybody is studying. So there is nobody to challenge, so what I did was I went to the gym. I still wanted to keep fit,” said Marcus. Marcus has since been powerlifting and will be competing in the Singapore Powerlifting Invitationals (SPI) 2014 in the Men’s Open Under-59kg category on Aug 17. The two-day event, held at UE Convention Centre at Changi will not only see local powerlifters but international athletes as well. 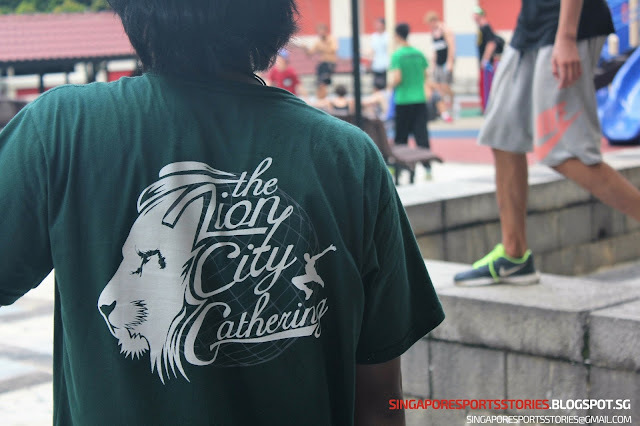 It is organised by Powerlifting Singapore in a bid to raise the competitive level or the sport and also provide a chance for local powerlifters to interact with their international counterparts. For Marcus, he aims to lift heavier than before at the invitationals. “For this competition, I’m not expecting much because I know my preparation was not awesome. But what I want to do is to break my own PR (personal record),” said Marcus. 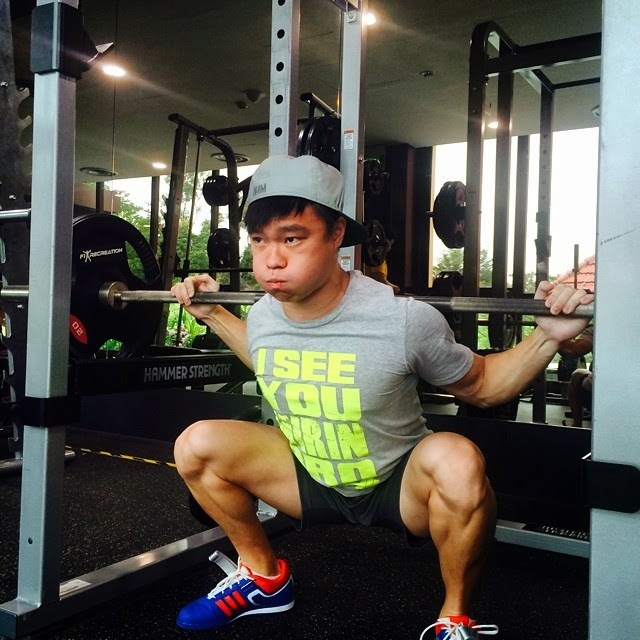 He has been preparing by training five times a week under Mr Tan Say Yong, President of Powerlifting Singapore, who has been coaching him for about a month. Marcus’ brother, Matthew Yap Zhe Ren, 15, an Outram Park Secondary School student, often trains together with him. “(Marcus' training is) either crazily intense or very slack,” said Matthew. “I think it’s his facial expressions.” Off training, Matthew describes his brother to be the “happy-go-lucky” sort. But when it comes to tackling the massive weights, Marcus is focused. “I give myself a few steps. From the step up all the way to the lift, I feel it is very important to have a step by step. You have to do it the same every single time so you actually create a habit, a loop,” said Marcus. Marcus intends to pursue powerlifting long-term and has set his sights further down and farther away. “There are two competitions that I want to compete in, end of this year Oceania (Oceania and Asian Raw Championships) and World Championships next year. Hopefully by Oceania, I will be able to qualify for World Championships,” said Marcus. With the progress made in just little over a year of powerlifting practice, Marcus may very well leave his mark on the international powerlifting scene. Follow Marcus' powerlifting journey on his Youtube channel.